The experience was made possible through Kid’s Hope Alliance’s Stop the Violence Neighborhood Intervention and Prevention grant. WILD edu’s program uses challenging outdoor activities and obstacles to help youth overcome their fears and doubts by giving them confidence in their own abilities. “It’s okay to be scared in life. Courage can’t exist without fear, however, it’s more important to push past your fear,” explained WILD edu instructor, Scott Weinstein. 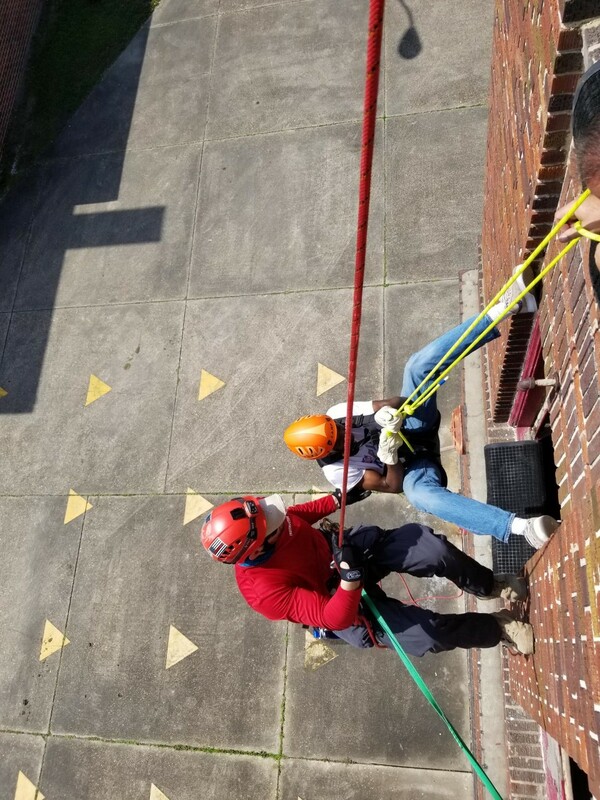 “When our youth complete a goal like rappelling down a 40-foot tower, it provides a great teachable moment. It leads to a conversation about what other scary things in their lives they may need to overcome. Whether it be a relationship, a fear of not getting into college or uncertainty about the future; these are all things we can tackle once we start overcoming obstacles,” described Mr. Weinstein about the program. Both retired Fire Captain Mr. Hall and Mr. Weinstein, taught student how to build rope systems that firefighters use to save lives. During one demonstration, Mr. Weinstein challenged students to a game of 3 vs. 1 tug-of-war using a ropes system to demonstrate their effectiveness. Mr. Weinstein and Mr. Hall are instructors at FSCJ’s Fire Training Academy and are members of FEMA’s special operations taskforce.